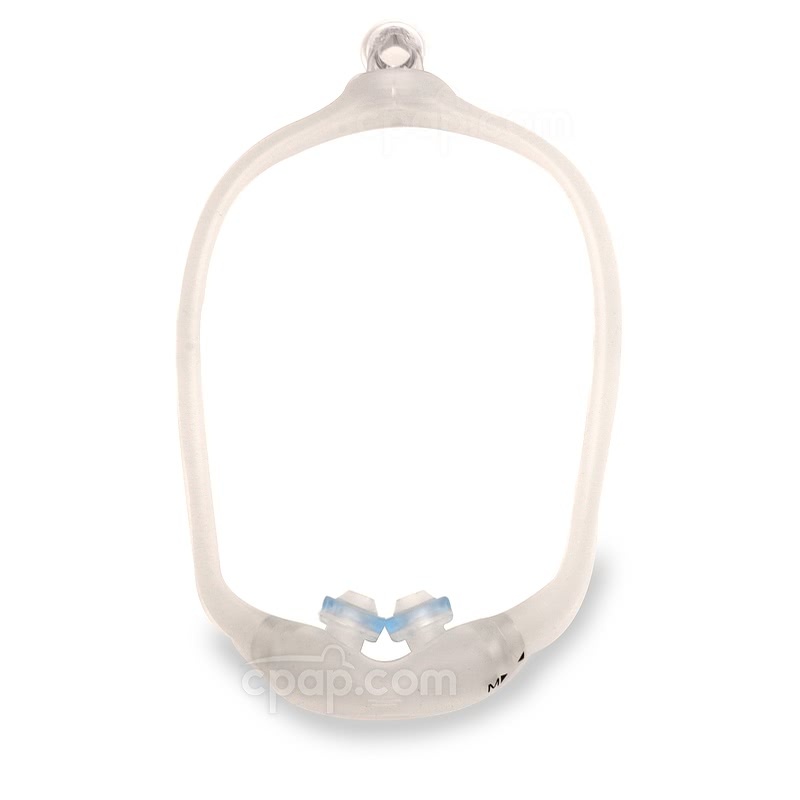 The DreamWear Gel Nasal Pillow CPAP Mask WITHOUT Headgear - Fit Pack is a combination of frame, elbow, and nasal pillow cushions for the DreamWear nasal pillow mask. This mask purchase does not include headgear. 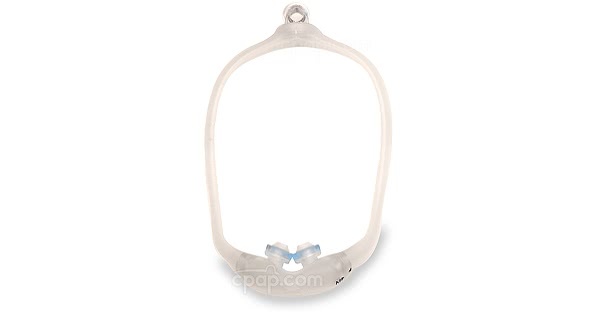 The DreamWear Gel Nasal Pillow CPAP Mask WITHOUT Headgear - Fit Pack is a version of the DreamWear nasal pillow mask that does not include headgear. The DreamWear mask features a hollow frame that allows CPAP therapy air to pass through to reach the nasal pillows. The frame is designed for air to travel through both sides if available or for all therapy air to travel through one side only if the other side is restricted by being laid on. Fabric wraps are included for added comfort. This fit pack includes all three sizes of DreamWear nasal pillows: small, medium, and large. The nasal pillow cushions are interchangeable and can be added or removed from the mask frame easily to determine the best size and fit. The mask frame goes from the top of the head, down along the edges of the cheeks, then under the nose. This design keeps line of sight open and helps avoid claustrophobia. Looking for the full mask with headgear? See the DreamWear Gel Nasal Pillow CPAP Mask with Headgear - Fit Pack. The parts of the DreamWear nasal pillow mask excluding headgear should be hand washed daily using warm water and a mild soap. Rinse the parts completely and allow to air dry out of direct sunlight. To find the size of the DreamWear nasal pillow mask frame, locate the elbow at the top of the unit. Just above the elbow, gray letters are imprinted on the frame to indicate the size. The letters "SM" represent a size Small, "MED" represent a size Medium, and "LG" represent a size Large. Please Note: The DreamWear Gel Nasal Pillow CPAP Mask WITHOUT Headgear - Fit Pack is sold with a Medium frame only. The medium frame will fit most users.